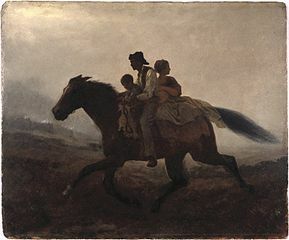 The Underground Railroad was a term used for a network of people, homes, and hideouts that slaves in the southern United States used to escape to freedom in the Northern United States and Canada. The Underground Railroad wasn't really a railroad. It was a name given to the way that people escaped. No one is sure where it originally got its name, but the "underground" part of the name comes from its secrecy and the "railroad" part of the name comes from the way it was used to transport people. The Underground Railroad used railroad terms in its organization. People who led the slaves along the route were called conductors. Hideouts and homes where slaves hid along the way were called stations or depots. Even people who helped by giving money and food were sometimes called stockholders. Who worked on the railroad? Many people from various backgrounds worked as conductors and provided safe places for the slaves to stay along the route. Some of the conductors were former slaves such as Harriet Tubman who escaped using the Underground Railroad and then returned to help more slaves escape. Many white people who felt that slavery was wrong also helped, including Quakers from the north. 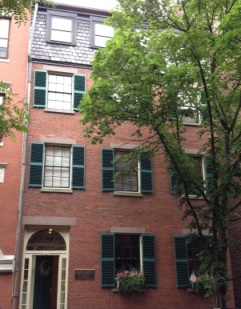 They often provided hideouts in their homes as well as food and other supplies. If it wasn't a railroad, how did the people actually travel? Traveling on the Underground Railroad was difficult and dangerous. Slaves would often travel by foot at night. They would sneak from one station to the next, hoping not to get caught. Stations were usually around 10 to 20 miles apart. Sometimes they would have to wait at one station for a while until they knew the next station was safe and ready for them. Yes, it was very dangerous. Not only for the slaves who were trying to escape, but also for those trying to help them. It was against the law to help escaped slaves and, in many southern states, conductors could be put to death by hanging. When did the Underground Railroad run? The Underground Railroad ran from around 1810 to the 1860s. It was at its peak right before the Civil War in the 1850s. Since the slaves escaped and lived in secrecy, no one is quite sure how many escaped. There are estimates that say over 100,000 slaves escaped over the history of the railroad, including 30,000 that escaped during the peak years before the Civil War. In 1850 the Fugitive Slave Act was passed in the United States. This made it a law that runaway slaves found in free states had to be returned to their owners in the south. This made it even more difficult for the Underground Railroad. Now slaves needed to be transported all the way to Canada in order to be safe from being captured again. Abolitionists were people who thought slavery should be made illegal and all current slaves should be set free. The abolitionist movement started with the Quakers in the 17th century who felt that slavery was un-Christian. The state of Pennsylvania was the first state to abolish slavery in 1780. Slave owners really wanted Harriet Tubman, a famous conductor for the railroad, arrested. They offered a reward of $40,000 for her capture. That was a LOT of money back then. One hero of the Underground Railroad was Levi Coffin, a Quaker who is said to have helped around 3,000 slaves gain their freedom. The most common route for people to escape was north into the northern United States or Canada, but some slaves in the deep south escaped to Mexico or Florida. Canada was often called the "Promised Land" by slaves. The Mississippi River was called the "River Jordon" from the Bible. In keeping with the railroad terminology, escaping slaves were often referred to as passengers or cargo. Read about Harriet Tubman and the Underground Railroad.